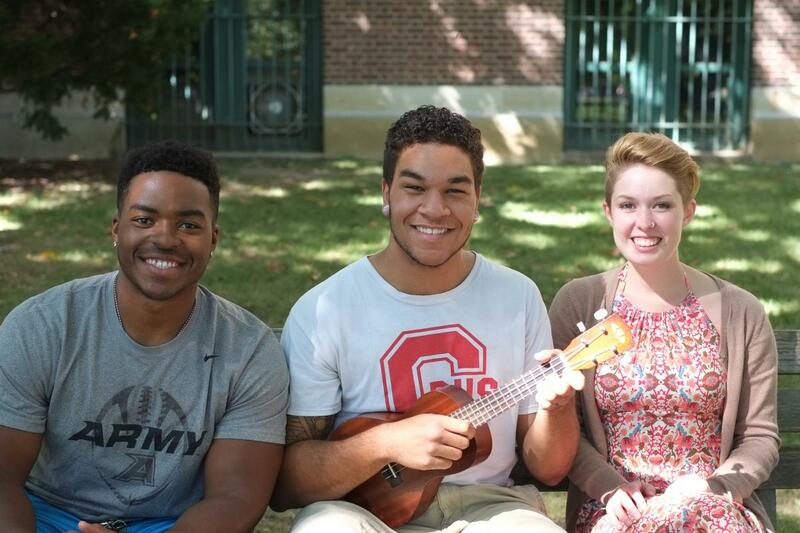 The College of Arts and Sciences at The Ohio State University believes that diversity matters, and embraces diversity as a key component of excellence and the pursuit of eminence. We are committed to promoting the principles of equal opportunity, multiculturalism, access and inclusion in which all individuals are valued, respected and unobstructed in their pursuit of excellence, and provided opportunities to flourish. In the College of Arts and Sciences, we believe that fostering a diverse environment increases our knowledge base, encourages critical discourse and creates a culture that is creative, innovative and flexible — all with the goal of providing our graduate students with a competitive edge. The Office of Recruitment and Diversity Services within Arts and Sciences works in partnership with departments, research centers and other campus units to ensure a supportive and thriving intellectual environment for diverse populations of students as they pursue advanced degrees. Programs ranging from interdisciplinary research opportunities, academic support, symposia, professional development, and social and cultural events are offered by student organizations and individual campus offices throughout the university. A full-time Graduate & STEM diversity director in Arts and Sciences works closely with departments, faculty, administrators and students on recruitment, admissions, retention, community-building and advocacy. CIC Fee App Program: The CIC is the Committee on Institutional Cooperation (Big 10 institutions plus the University of Chicago.) Eligible applicants are able to apply without paying Ohio State’s application fee. CIC Free App eligibility criteria and online application available. McNair Scholars: McNair Scholars are eligible for application fee waivers. Applicants should note their participation in the McNair program on the Ohio State graduate admission application and follow the instructions for verification. The Discovery Scholars Program is a funding opportunity that aims to increase the diversity of our graduate student body. This program provides funding for students admitted from the GEM database to the Colleges of Arts and Sciences and Engineering MS or PhD programs. Only those students from the GEM database who do not receive funding from GEM (industry partner) are eligible for support. This unique program increases the flexibility of students’ education and career path by not limiting it to a particular company or industry. To be eligible to apply, students must have applied to GEM as well as have a background historically underrepresented in science, technology, engineering and mathematics (African American, Hispanic/Latino, or Native American). Students must also be looking to pursue degrees in one of those fields. Summer Research Opportunities Program (SROP) Scholars: SROP Scholars are eligible for application fee waivers. Applicants should note their participation in SROP at any CIC institution, including Ohio State’s SROP program, on the Ohio State graduate admission application and follow the instructions for verification. The Graduate/Professional Student Recruitment Initiative (GPS) occurs annually in the fall and is The Ohio State University’s premier diversity recruitment program for students considering post-baccalaureate studies at Ohio State. The program helps to contribute to the ethnic, cultural and academic diversity of Ohio State’s Graduate School and Professional Colleges. Students visiting graduate programs in the College of Arts and Sciences will receive up to a $500 honorarium to cover travel expenses (a $250 allowance in addition to the $250 the Office of Diversity and Inclusion provides). Note students from local [Columbus area] universities are not eligible for this honorarium. Competitive Funding — Ohio State graduate fellowships and associateships are the primary source of financial assistance provided to graduate students. This type of financial support includes tuition, fees, a stipend and healthcare subsidy. Graduate Enrichment Fellowship Program — The Graduate Enrichment Fellowship program recruits individuals who will bring diversity to the Graduate School. These fellowships provide a monthly stipend, academic tuition and fees, and a subsidy of 85% of the student health insurance premiums. These fellowships are nonrenewable and are restricted to U.S. citizens. The College of Arts and Sciences will be participating in a variety of academic conferences as well as academic institutions throughout the academic year. This is great opportunity for you to find out how the Arts and Sciences experience at Ohio State can give you the competitive edge you’re looking for. Would you like us to visit your school? Get in touch. Lessons I learned during my journey through graduate school: How choosing the right advisor is crucial for success. The guide below links to funding sources for underrepresented minority graduate students. For more information contact Dr. Marcela Hernandez. Membership in the National GEM Consortium which offers graduate STEM fellowship programs. Membership in The National Center for Faculty Development and Diversity, which is an independent professional development, training, and mentoring community of over 71,000 graduate students, post-docs, and faculty members. A large number of multicultural graduate student organizations. Participation in a number of programs sponsored by the National Science Foundation to broaden participation of groups historically underrepresented — ADVANCE, AGEP, LSAMP, RDE; and training programs sponsored by the National Institutes of Health — T32, NIGMS. Marcela joined the Recruitment and Diversity team in November of 2012. She received her Bachelor of Science, in Molecular Genetics, from the Ohio State University, and her MS and PhD in Biochemistry also from the Ohio State University. Marcela’s role is to design and implement programs to enhance recruitment, retention, and support of graduate students and postdoctoral scholars from underrepresented backgrounds with special emphasis on those in STEM disciplines. Prior to joining the RDS team, Marcela worked as a research scientist in the area of RNA biology. Her scientific work area is gene regulation and the transcriptional and post-transcriptional level, and she worked in bacterial, plant, and mammalian systems.